“If it wasn’t for Marissa, I would not have been able to realize the pure unconditional love that a shelter dog had to offer. When I adopted Shiloh, a shy little pitbull from a local shelter, I knew I had always wanted to rescue a pitbull and read a lot about it, but no matter how much you read, nothing prepares you for every circumstance you encounter when you bring the dog home – add a 5lb Maltese into the mix and that ups the ante. The first time Shiloh growled at Jett I thought it was over and I almost panicked. 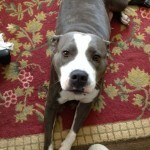 That is when I contacted Emily and Cari from All They Need is Love Animal Rescue, looking to rehome Shiloh. They, probably seeing this scenario a million times, suggested I try Marissa if I wanted to try to keep Shiloh in my life, which I desperately did. Marissa and I made an appointment for her to come out to my home and evaluate my situation. From that moment forward I could not have asked for a better, more thorough trainer. She spent at least 2 hours at my home on that first visit. She watched the way Shiloh and Jett acted individually and then how they interacted together. She reassured me that Shiloh was a keeper. She gave me innumerable tools to deal with every situation imaginable and an everyday routine to establish a pecking order in my household that would make the transition easier for me, Shiloh, and Jett. “Just wanted to take a minute to say how very much I appreciate all you have done for Toby and me! I was referred to you through my sister, Debbie Sanders, who has Evan, the tripod who was in terrible shape physically, emotionally, and otherwise when she took on the enormous task of welcoming that baby into her family with one of the most stable, confident dogs I have ever met – Guthrie. You worked miracles with Evan and she assured me you could do the same with Toby. I have owned dogs all my life and never really had any significant issues…until Toby. I got him as a young pup from the shelter. It became obvious to me early on that I would need some training help with him. Through the years I had several trainers and on more than one occasion was ready to admit defeat. Toby had an extremely strong reaction to other dogs and because he is a very big, strong dog, it became impossible to take him out in public. I had to walk him in the dark to reduce the chance of encountering other dogs. There was one particular incident where I decided to try a day-time walk which almost ended in one or both of us being killed! Toby saw a dog across the White Horse Pike that just set him off. I was completely taken by surprise and Toby almost drug myself and him across the pike to get to that dog. I was lying flat on my chest pulling with every ounce of strength I had and just barely regained control with the relatively minor consequence of a broken toe and a broken spirit. After that incident I didn’t walk Toby for about a year. I was so disgusted and had really given up. I realized it was no quality of life for him or me and that I had to do something. That is when I called Marissa. We spoke at length on the phone about the issues and scheduled a time to meet. Little did I know I was actually meeting her at a “pack walk.” I was sitting in my car at the park waiting for her to arrive and annoyed by all the people pulling up with dogs in their cars! 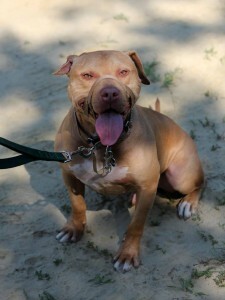 One of the dogs was a huge “block head” that looked a lot like Toby but double the size and pure muscle. Marissa had that dog on one side of her and took Toby from me and walked away with both dogs. WHAT?! I couldn’t believe it. Toby didn’t react or make a peep – he just instinctively knew he better just keep his mouth shut and walk! Well, from that moment on, it has been nothing but progress. I am now able to walk Toby every single day (no more midnight walks) at a park where there are always other dogs to encounter. We attend classes regularly and almost never miss the Sunday pack walk. It is my favorite. I love the atmosphere at the classes. Everyone is so supportive and the great thing is that everyone is going through the same things you are. They all understand not only what your dog is doing but the feelings of frustration, accomplishment, pride, etc. It is one thing that I notice the progress my dog has made but so many people who have seen Toby since the beginning see the difference in him. 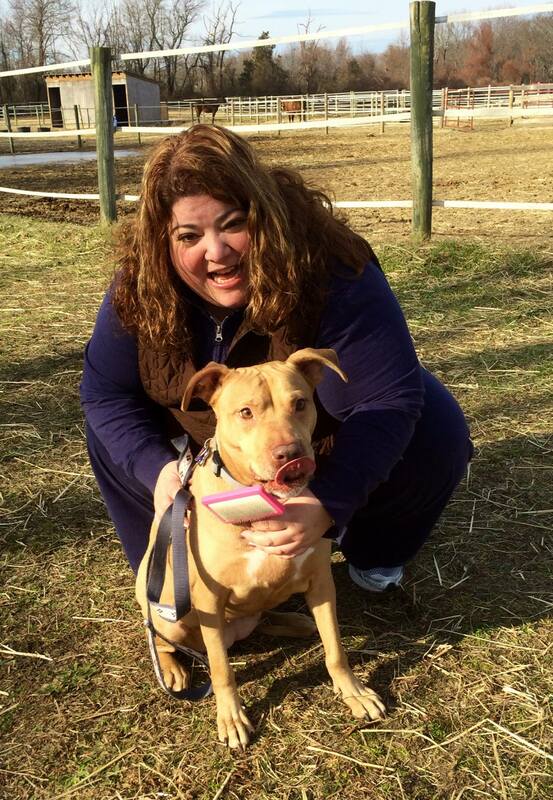 “Marissa Corbett of Above and Beyond Training gives generously of her time to rescue efforts. 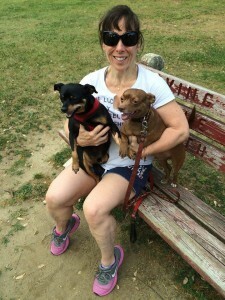 Since the launch of One Love Animal Rescue, Marissa has been our go to trainer for everything. She has a strong focus on education, prevention, and safety. She is quite good at helping us when we have a problem, but importantly, she gives us the advice we need to avoid problems in the first place. She consults with us when we have behavior issues and encourages us to ask questions and check in with her often. She evaluates our challenging dogs and recommends courses of action and training for the foster and the dog. 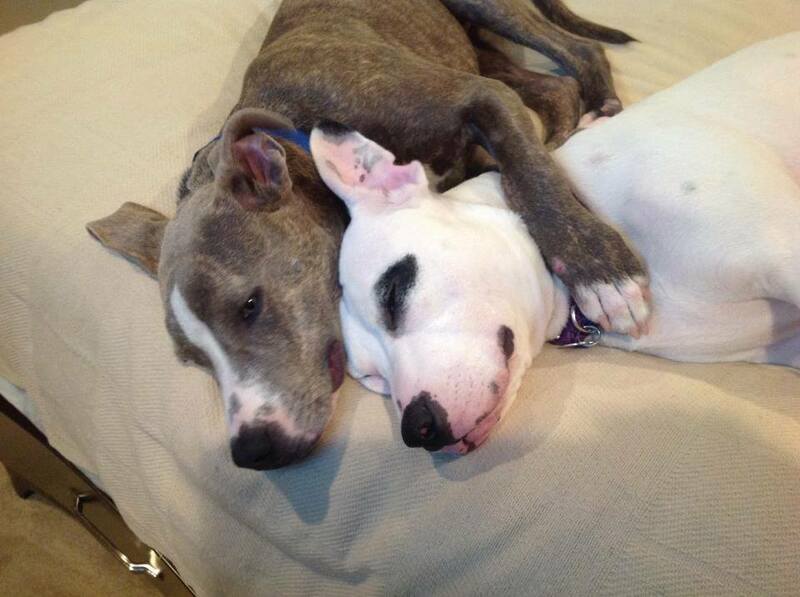 Her regular training classes are open to our foster parents which is enormously helpful to us. She is also directly involved with helping our rescue establish safety protocols for our events, volunteers, fosters, and adopters. She shares helpful information that she uses with her clients, so that we can educate our One Love family. As we progress as an organization, Marissa is helping us continually add to the rules and ‘Dos and Don’ts’ that will keep our animals and humans as safe as possible. From the ill-mannered and obnoxious to the whiners and barkers, we have had great results working with Marissa and her team. Her leadership and guidance has been invaluable to us. 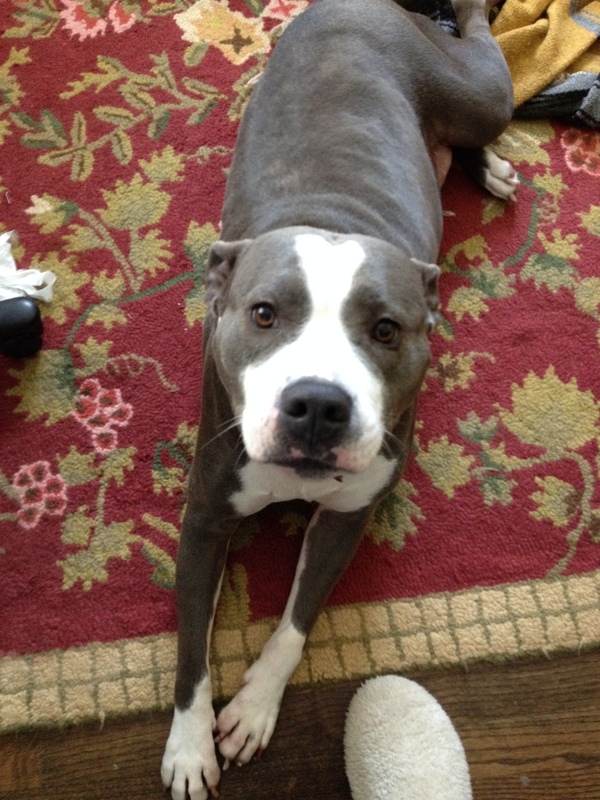 “I rescued my pittie mix, JoJo, as a failure from a pit bull ring. He was so sweet but had spent his entire puppyhood in a cage. He was emaciated at 33lbs with demodectic mange on his back and tail and you could count every backbone. With great nutrition, he blossomed and gained weight. He loves people but at 70lbs what would be cute as a 20lb puppy was not fun. Every time someone would enter the house, he jumped on them, mouth open, goofy, but scary to many people. He also chased tires on cars, jumped up on my friend’s cars and scratched their paint, barked at everyone, pulled me down the road if there was another dog, etc. The critical event was when he got loose and decided to visit the neighbor’s house and was chasing the guy’s Range Rover tires trying to bite them with his wife watching. That led to the neighbor threatening to shoot JoJo, calling the police, dog warden, etc. I had already worked with two other trainers with limited success. 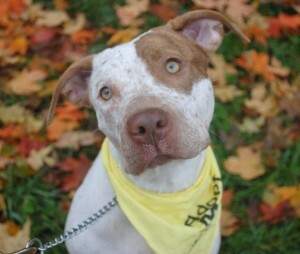 I was beside myself and reached out to Emily Richardson from whom I had adopted another pittie mix and I knew she worked with this breed. She recommended Marissa Corbett. I cannot say enough wonderful things about Marissa. She’s located a full 2 hour drive from me but it was worth every minute. She kept JoJo for 7 weeks, trained him with her remote collar method and he came back perfectly trained. He sits, goes to his “place”, has a crate he loves, has stopped jumping on people, and comes when I call him. He’s still a bundle of energy and with 5 dogs, my house is always a zoo but he’s so sweet and when he has his collar on, I never have to worry. I can always control him. “I adopted a 2 year old visually impaired bully breed dog with separation anxiety. I thought I knew what I was getting myself into. The rescue group referred me to Marissa and we had a home visit from which I gained invaluable knowledge. Having had dogs my whole life, how hard could it be to show Sadie love and security? I practiced with Sadie and we were making great progress … until we weren’t. Sadie’s separation anxiety got the best of us. I called Marissa to come to my rescue! From the get-go Marissa encouraged me to keep a few things in mind; praise, correction, energy level, consistency and most helpful – repetition. Separation anxiety was tough for us. Crate training, for Sadie, was a failed mission. Still, Marissa never gave up on us. She taught me how to use tools and my own behavior to distract Sadie with something she loved (other than me) before I left the house. Through each of our speed bumps, and there were a few, Marissa taught me to use dog psychology rather than assumption. Marissa taught me that though she is blind, I can show Sadie to do much more than I ever dreamed of! Marissa trained me! Sadie is a different dog – spoiled and happy … and I am a different human. 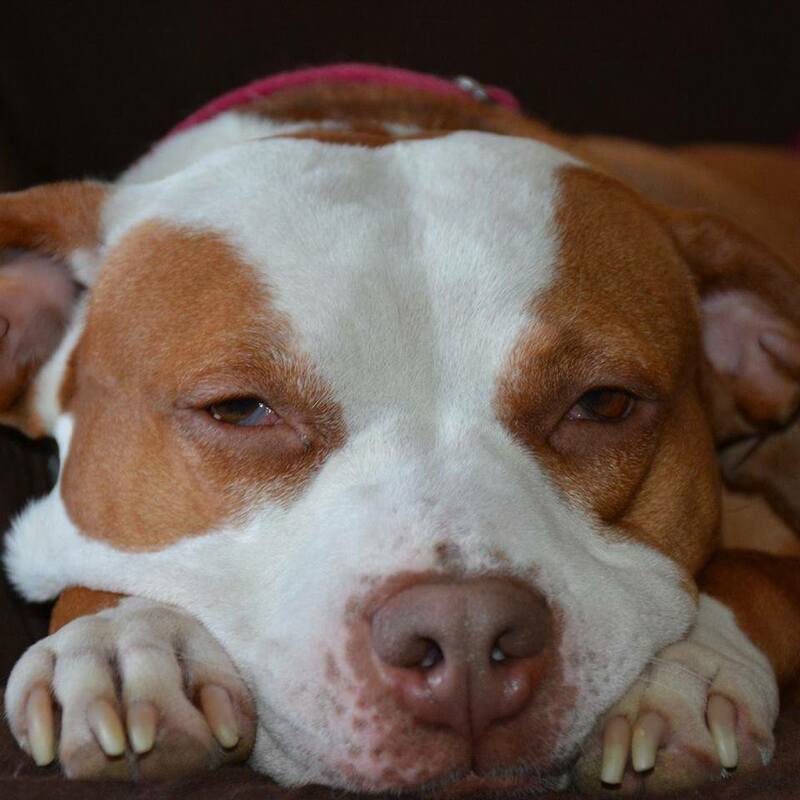 Sadie is very well behaved, attentive and of course, perfect! I am proud to say that through some hard work and with the help of all of the staff at Above and Beyond Dog Training, Sadie also passed her Canine Good Citizen test! “We were experienced dog owners when we adopted our pit bull pups, Raine and Domino, but realized we had a lot to learn when it came to this breed. Marissa came highly recommended by All They Need is Love Rescue and it was the best thing we could have done for ourselves and our dogs. It was immediately evident that she knew her way around this breed, and had a strong knowledge of dog behavior in general. She was able to give us countless training techniques and more importantly constant support. We now can recognize certain behaviors that could be problematic and address them immediately before there is an issue. The weekly pack walks she organizes on her own time, have not only helped our dogs immensely with socialization, but are a way for us to consistently reinforce good behavior, and have become something we look forward to. 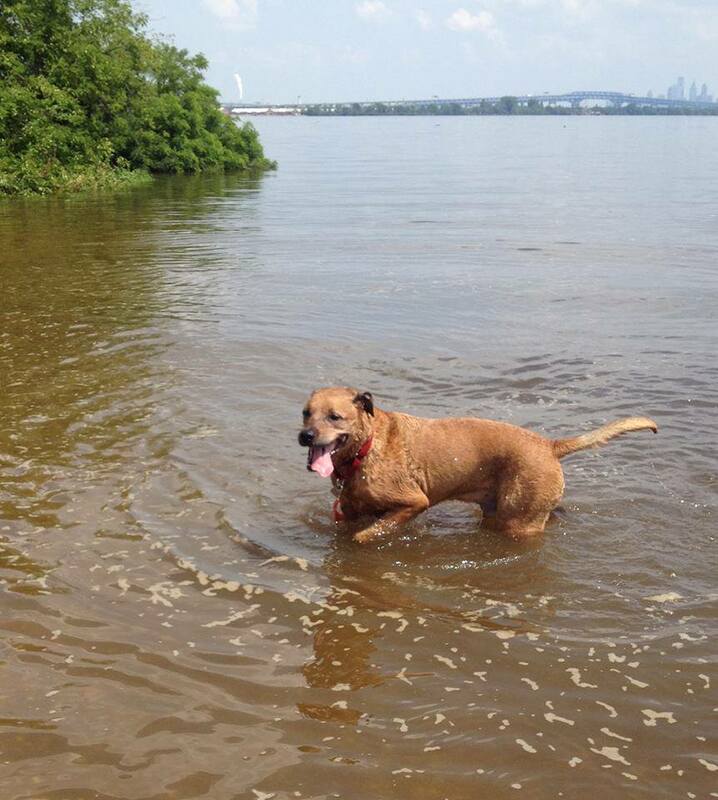 “Nala has transformed from a feral dog to the most lovable dog I have ever owned. 100% of the transformation is credited to Marissa and her unwavering dedication and compassion to her craft. We adopted a dog who did not listen to basic commands, could not be taken on walks, was a nightmare in the car, did not interact well with other dogs, messed anywhere in the house that she wanted, and barely wanted to be touched. When we contacted Marissa we were distraught and were debating whether or not keeping Nala was the right move because on top of all the other issues I was bit preventing a dog fight. Marissa took Nala and thoroughly monitored her behavior for a solid week. When we saw Nala again I could already see the beginning of a transformation. We pulled up to training and Nala was on a leash, sitting next to Marissa. This may sound simple and silly, but it was a huge accomplishment for Nala. Marissa was straight forward and honest with us. She informed us that if we wanted to keep Nala we would have to be committed to coming to training and re-enforcing commands at home. She told us that it would not always be easy, but if we were committed to working with Nala, she would be committed to working with us. 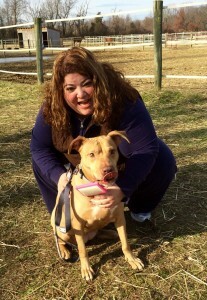 Marissa introduced us to many training options and in a way trained us as much as she trained Nala. She found creative alternatives to some of our biggest hurdles, like treadmill training Nala to help her burn some of her energy off while we worked on her leash aggression during walks. 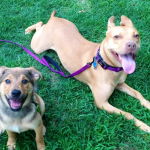 Marissa worked with getting Nala to tolerate being in the same vicinity as other dogs in a controlled environment. Nala now is even able to join in on pack walks! 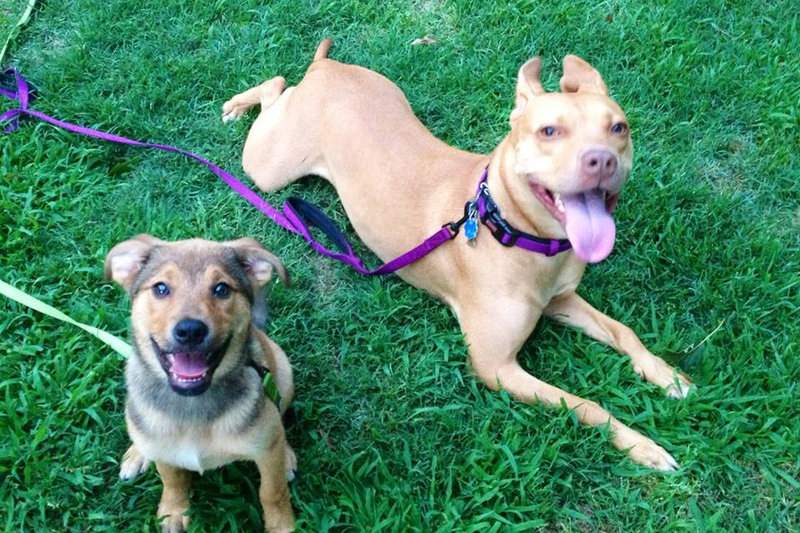 She helped us introduce a puppy to Nala and now our one dog home is home to two! More importantly the puppy has provided companionship to Nala, helps to settle Nala in stressful situations, and has even taught Nala how to act more like a dog.